Savannah Lynne is excited to announce her record deal signing with Arrival Music distributed by Cinq Music and the release of her newest single, "Just Getting Good" today, August 25th, on Spotify, iTunes, and all digital platforms. She is looking forward to hearing the thoughts of her fan base, the Lynnear Movement, and can’t wait to share more of her latest music, which is to be released soon. 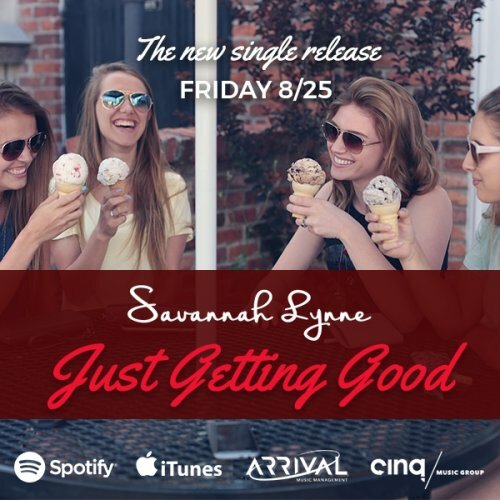 And stay tuned for more music from Savannah Lynne! "Savannah is one of the top female artists of her age, and I am so excited to be able to promote her great music to her community of fans, and grow her fan base to new levels" -Jim Vellutato, CEO, Arrival Music.